Power Ledger (POWR) - Events, Price, Market Cap, Supply, Exchanges and more! 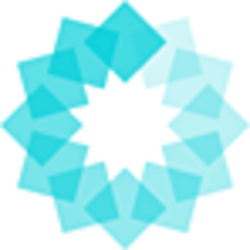 Power Ledger is a blockchain platform for peer-to-peer trading of energy. It enables people to sell energy to their neighbors, and by doing so avoiding costly middlemen like utility companies. "In the first quarter of 2019, we’ll release a demo of the xGrid/μGrid Power Ledger product." 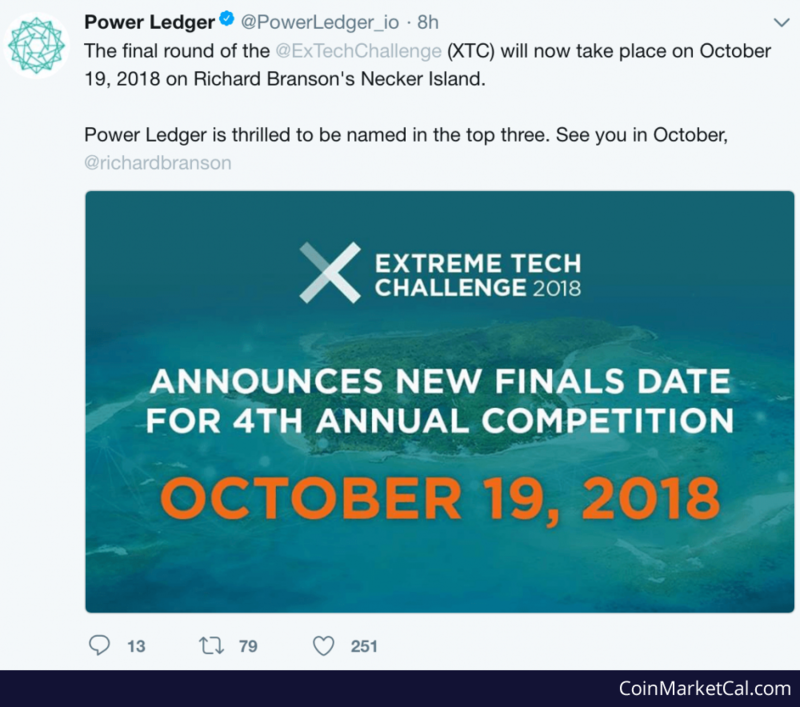 Update: The final round of the @ExTechChallenge (XTC) will now take place on October 19, 2018 on Richard Branson's Necker Island. 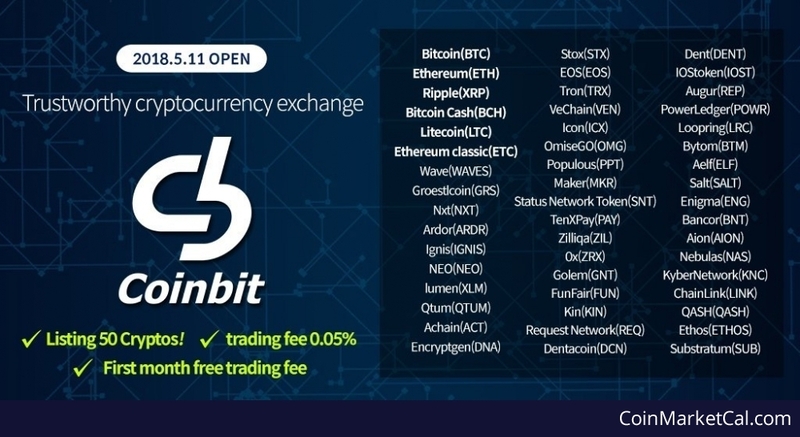 "Powerlet is the first domestic event in Korea. 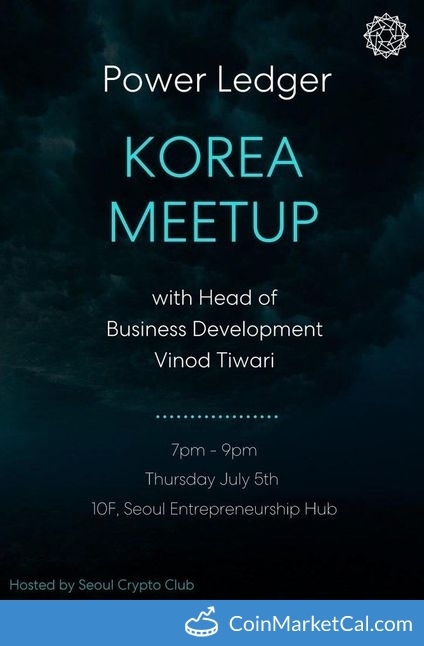 After Vinod Tiwari's keynote speech, we will have Q & A and networking time." 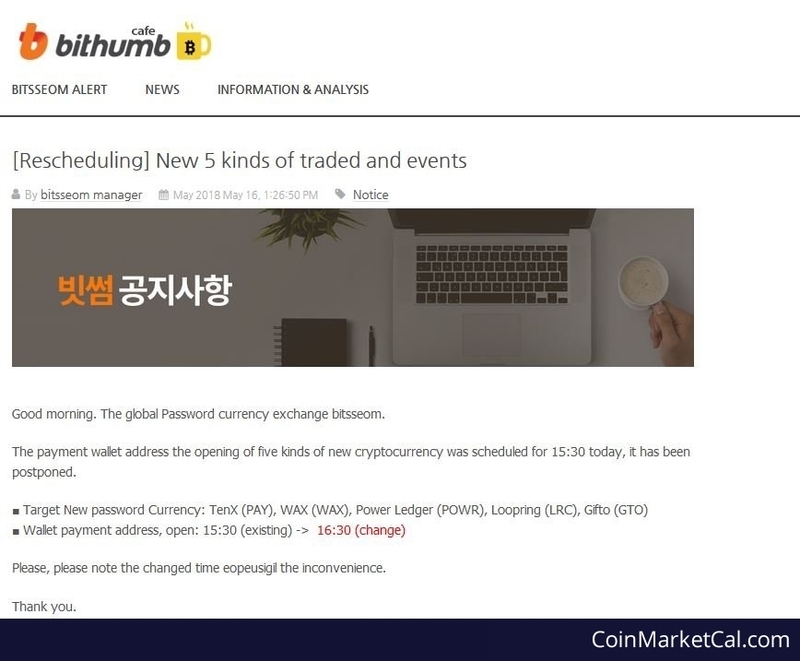 Bithumb lists PAY, WAX, POWR, LRC, and GTO. 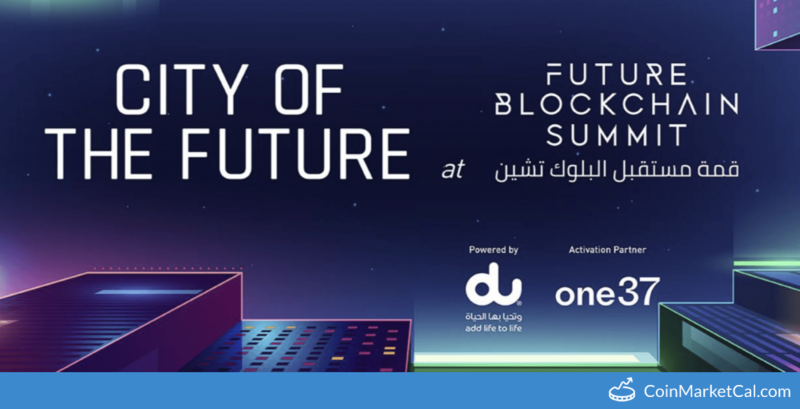 Payment wallet address opening rescheduled from 15:30 to 16:30. 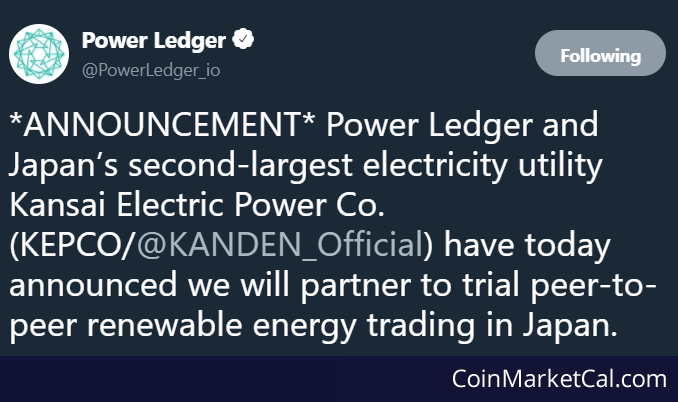 POWR announces partnership with Japan's second largest electricity utility, KEPCO, to trial peer-to-peer renewable energy trading in Japan. "Dr. Jemma Green will be speaking at the Inspiring Leaders' Summit on 'How do you manage disruption'?"